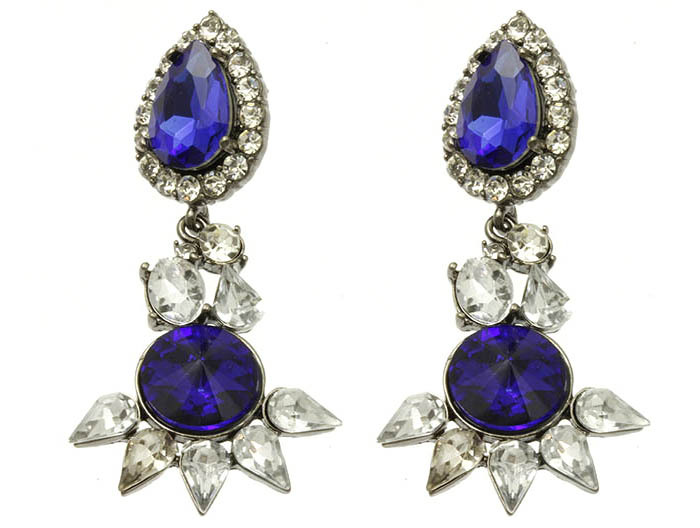 Full of opulent charm the Lola earrings, are for dancing under the moonlight. Inspired by a Shourouk design, sapphire faceted jewels cascade in a double-drop, accented by border arrangements of clear quartz beading and crystals. A spectacular add-on for tees and blue jeans or your L.B.D. Add this beautiful piece of costume jewellery to your collection today.